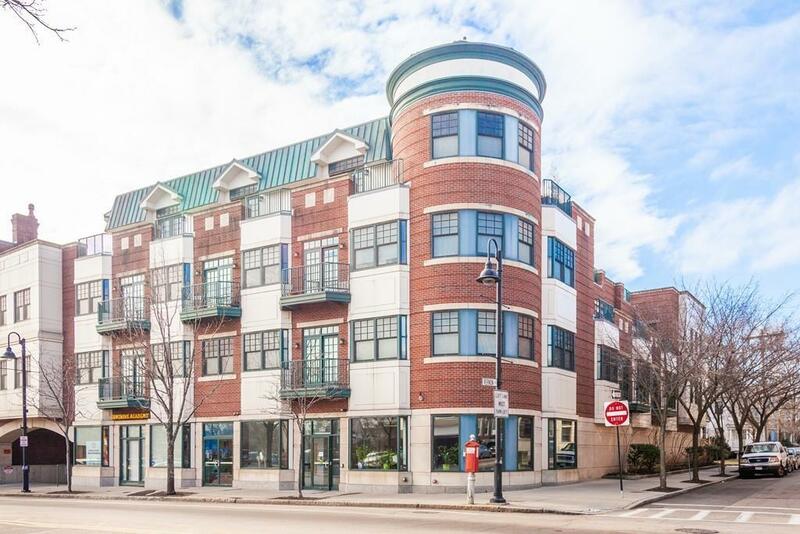 **OPEN HOUSES CANCELED- SELLER ACCEPTED AN OFFER** Abundantly spacious 2bd/2ba condo for sale at The Vernon, a 17 unit boutique, elevator condo building in the heart of Coolidge Corner. This second floor unit features bamboo hardwood flooring in the living area along with an expansive kitchen with custom cabinetry and dark granite, Thermador appliances, under cabinet lighting and counter seating for up to 6. XL living room accented by a balcony and breakfast nook near the front windows. Both bedrooms are quite large- the master offering three closets and en suite bath with double vanity. Brand new carpet in the bedroom, in unit laundry and 2017 hot water heater. Two garage parking spaces are included in the sale. Unit was freshly painted and is ready to go to the lucky new owner!